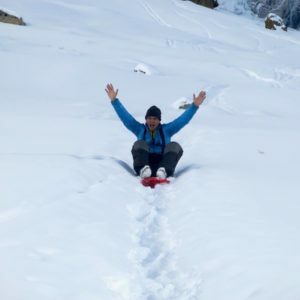 First summit push of the season is underway on Nanga Parbat. 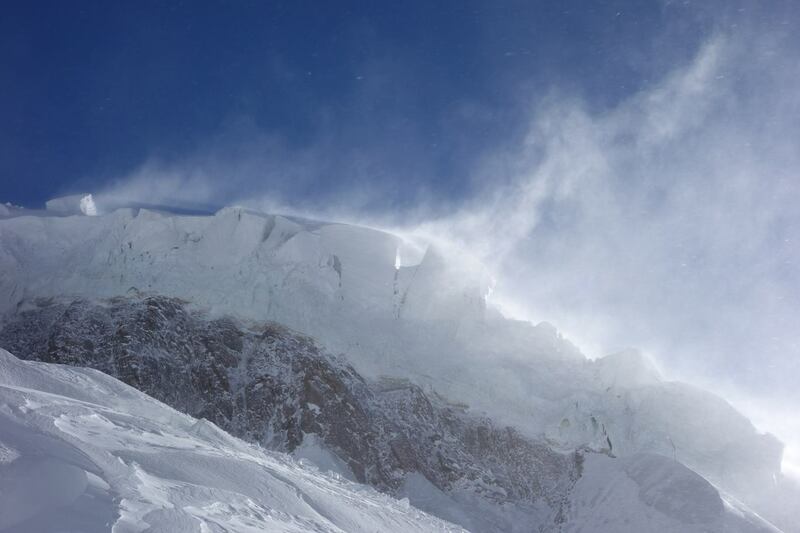 First summit push of the season is underway on Nanga Parbat. Tomek Mackiewicz and Elisabeth Revol have reached C3 and are aiming to reach the top in next couple of days. Rest of Diamir side teams are currently in Base Camp. 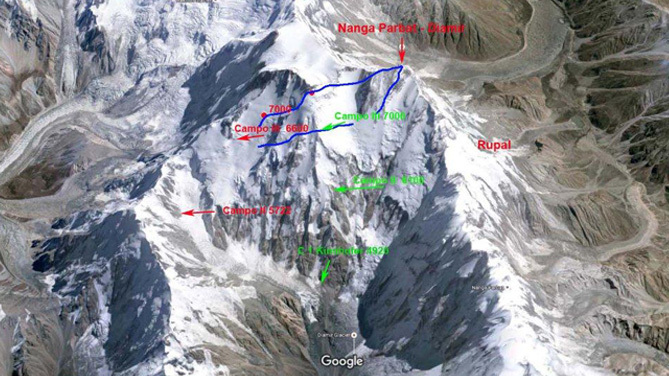 The team on Rupal side have seemingly reached around 6600m. Tomek Mackiewicz and Elisabeth Revol went up from BC on January 16th. They spent first night in C1 and reached C2 a day later. 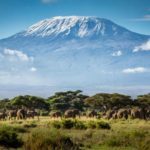 However, their progress was halted by strong winds until this morning. 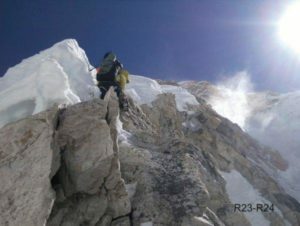 The climbers spent two days in C2 waiting for improvement in conditions. 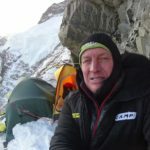 “Camp 2 and up … Cold and windy but everything is fine. Warm greetings from the ‘Mountain’… Beautiful Mighty Majestic Mountain” Tomek Mackiewicz wrote on Jan 18th. 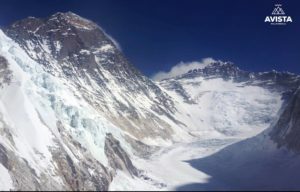 Simone Moro and Tamara Lunger have returned to Base Camp, from 5800m. Bad weather didn’t let them go any further. 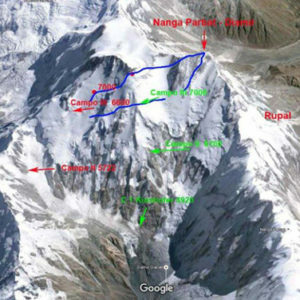 The duo wanted to reach C3 or even C4, but they ran out of food and retreated to BC on Jan 18th evening. 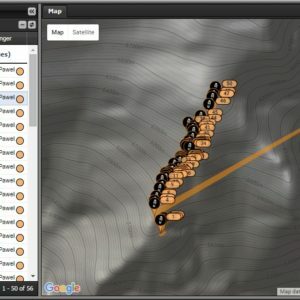 There hasn’t been any direct communication from south side of the mountain, but SPOT shows that at least some members of team have reached 6600m. It seems that they have set up at least C3, if not progressed further. Daniele Nardi, Alex Txikon and Ali Sadpara are currently in BC. 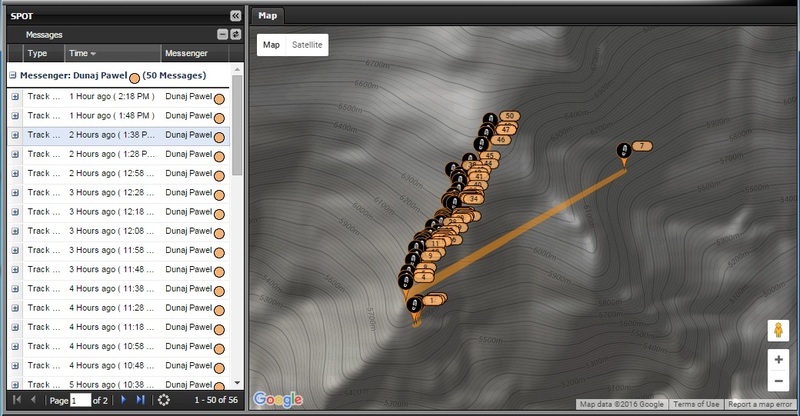 Depending upon weather conditions, the team will go up tomorrow and complete the rope fixing till C4 (7400m). Alex and Ali had fixed the route till 6500m earlier this week. Daniele Nardi, who suffered a fall during last climb, is doing well and eager to go up the mountain. Route options for Tomek and Elisabeth. 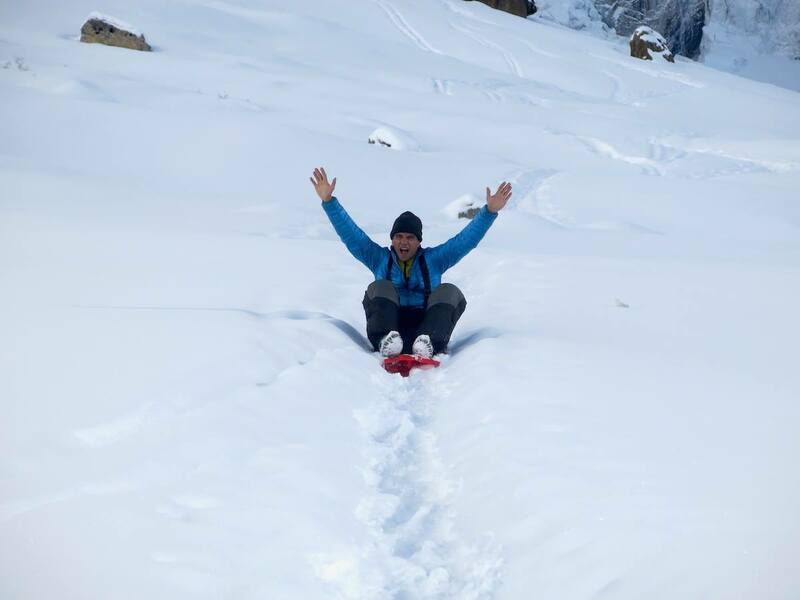 SPOT of Pawel Dunaj member of Justice for All team on Nanga Parbat.